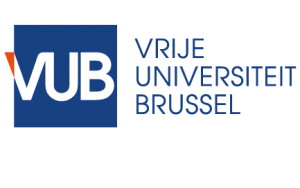 The Vrije Universiteit Brussel (VUB) has been a leading player in the Flemish Higher Education landscape for 40 years. The University numbers 12.000 students and together with its hospital - UZ Brussel – employs more than 6000 people. 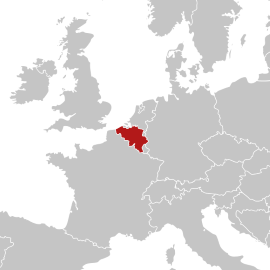 The Vrije Universiteit Brussel is the largest Dutch speaking employer in the capital. Department ETEC - Electric Engineering and Energy Technology is one of the key departments in faculty of engineering at the Vrije Universiteit Brussel (VUB) and is very active in the fields of power electronics, electric machines, electric and hybrid vehicles, energy storage systems and charging systems. ETEC Dept. has more than 40 specialists, a strong international network of academic, industrial & government partners, and over 40 years of internationally recognised expertise in e-mobility. ETEC is currently active in more than 10 European projects and has an extensive track record of research projects. ETEC has developed several power electronics converters (i.e. inverters, DC/DC converters, charging systems, etc.) with high efficiency and reliability. These power electronic converters are one of the important keys in energy-efficient systems such as clean vehicles. ETEC develops accurate detailed models, parameterised models, physical modeling and low-level control systems of different power electronics converters. In addition, ETEC has developed accurate simulation tools to study and investigate the potential energy savings from trams, metro trains and buses. ETEC has also an extensive experience in designing, modelling and testing of different rechargeable energy storage systems (i.e. batteries, electric double layer capacitors, etc.) that can be utilised in several applications. Furthermore, ETEC offers also a unique LCA methodology for the entire automotive sector to analyse the environmental, economical and societal impacts caused by the development and implementation of new vehicle technologies, components, materials and policy measures. Finally, ETEC has an international reputation in the field of charging infrastructure and standardisation and participates to several standardisation commissions such as IEC TC69, ISO TC22 SC21, IEC TC21, IEC SC23H, CENELEC TC69X and NATO RTO-AVT-166. ETEC hosts the secretariat of IEC TC69.